Fill out our simple form and get quotes from local caribbean mobile caterers. 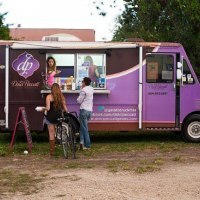 If you are considering mobile Caribbean food for your outdoor event, you are in the right place. Are you looking for something exotic? Food that takes your guests to beautiful golden, tropical beaches where the hazy azurean sky meets the crystal blues of the deepest ocean? Then Caribbean mobile catering services are a great choice. With an array of colourful and inviting dishes, those attending your event will be talking about your function and its mobile Caribbean food for a long time to come. We specialise in outdoor Jerk BBQ cooking. We provide authentic Caribbean Streetfood for all types of events and numbers from 50-500. Neishe Kitchen is based in Surrey. 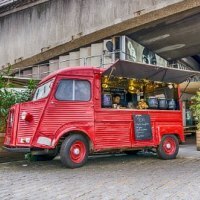 We serve delicious flavoursome Carribean food from our mobile food van, we provide for everything from parties, weddings, corporate events etc... numbers from 50. For a truly relaxed, easy atmosphere that will wow your guests, there is no better option than Caribbean outside catering. 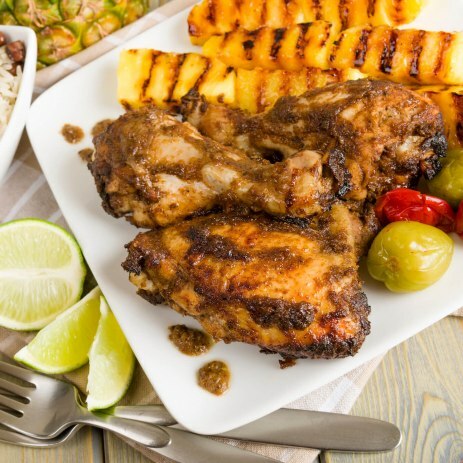 From jerk chicken to Caribbean rice and peas, from fried plantain to rum cake, menus are conducive to an event where guests can get together and have fun or network with ease. Mobile Caribbean food can make any occasion feel informal; can you almost hear the steel band playing already? With menus to suit any occasion, why not secure your Caribbean mobile catering services today? Simply submit a quote request to get answers to all of your mobile Caribbean catering questions within hours. With affordable options to choose from, keeping your budget in mind, you will quickly ascertain how Caribbean catering menu prices measure up with your requirements.